Brussels terrorists kept their plans in an unencrypted folder called "TARGET"
Remember how, in the wake of the horrific terrorist attacks on Brussels last month, authorities all over the world declared that the world was critically endangered by cryptography, insisting that crazy, far-reaching crypto-bans were necessary to prevent another attack? The terrorists who attacked Brussels didn't use crypto. They kept their s00p3r s33kr1t plans in a plaintext folder labelled "TARGET." Of course, now it's being reported that a laptop seized from one of the suicide bombers in Brussels shows little attempt to actually hide plans of attacks. 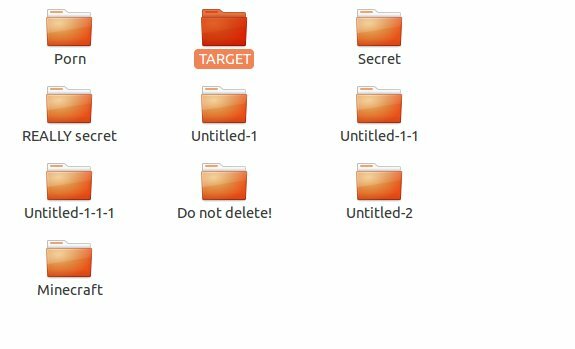 In fact, it showed that attack plans were kept in an unencrypted folder titled "Target." And the only attempt to "hide" it was that the computer had been thrown in the trash. The bomber referred to striking Britain, the La Defense business district in Paris, and the ultra-conservative Catholic organisation, Civitas, in a folder titled “Target,” written in English, according to the source. The laptop was found in the trash by police in Brussels shortly after the suicide bombings on March 22 that killed 32 people at the city’s airport and on a Metro train.